Advocates want to make sure funding for important telehealth services stays strong. A telehealth program has allowed rural and remote West Australians to access specialists using videoconference technology, providing antenatal and postnatal care for women and babies, and helping diagnose ear, eye and oral health issues in Aboriginal communities in particular. The program has been running since 2012, connecting 56 emergency departments and winning the 2014 Premiers Award for Excellence in the ‘Improving Government’ category. Funding comes from the Royalties for Regions scheme, which takes 25 cents in the dollar from mining royalties to pay for projects outside the Perth metro area. The WA Government has renewed funding for telehealth for two years at a cost of $33 million per year, which includes bonus payments to doctors working outside the metropolitan area in the south of the state. But the Rural Doctors Association WA (RDAWA) wants the important incentive payments and telehealth services to be treated as core regional health services, and not linked to the profitability of the mining sector. 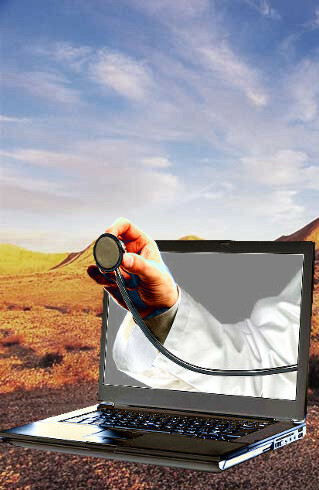 “It's got to be part of normal services to rural health rather than seen as some sort of add-on or a luxury,” he said. Regional Development Minister Alannah MacTiernan is not ensuring funding until a comprehensive review of services paid for by the Royalties for Regions program can be undertaken. “We always need to review what we're doing and see how we can put these sorts of measures on a more stable basis,” she said.